Courses are asynchronous and are delivered through an online learning platform (Sakai). Each course includes videotaped lectures, assignments, quizzes, discussion forums, webinars, and other online activities and learning tools. Assignments are submitted online through the Learning Management System Platform; Sakai and feedback is provided by the instructor. Students must participate and submit the required assignments weekly in order to receive credit. How long does it take to complete the MS in Maharishi Ayurveda and Integrative Medicine? 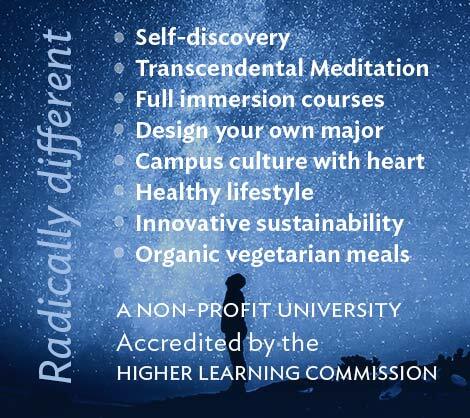 This is a three-year, online program. Courses are taught at about one-third the pace of a full-time program so that students can continue their careers while learning. Will I need to come to the MUM campus? As part of this program, students are required to complete 2 weeks of clinical training per year, for a total of 6 weeks. For US students, this will be done on the MUM campus during available time slots (which include four weeks in June). 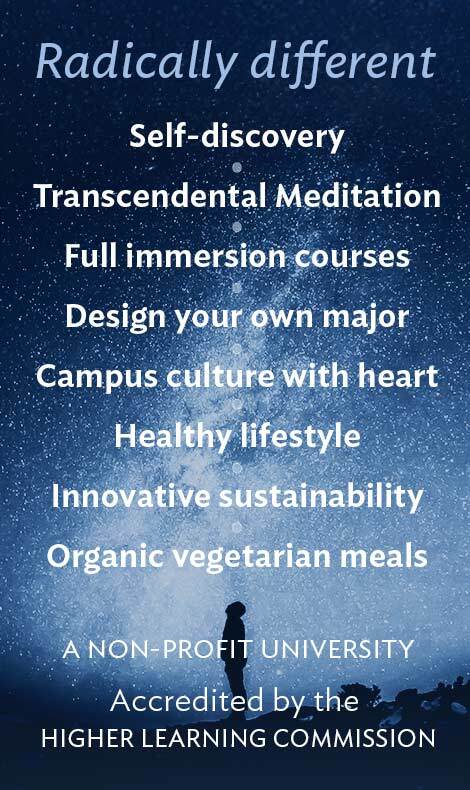 International students can complete this requirement by giving consultations under the supervision of a Maharishi AyurVeda trained physician, where 10 consultations are equivalent to one week on campus. Countries with Maharishi AyurVeda trained physicians include England, Germany, Holland, and Australia. What accreditation does the University have? Maharishi University of Management is accredited by the Higher Learning Commission. Ayurveda is a complete science of health that has its origins in the Vedic tradition of India thousands of years ago. Maharishi Ayurveda incorporates a wide range of procedures for the prevention and treatment of disease, and deals holistically with consciousness, physiology, psychology, behavior, and environment. Are there any course prerequisites? Students should have basic knowledge of human anatomy – either a university level course, or from their training as a massage therapist, nurse or other health practitioner. If the applicant has none of these they may take a short online course, or review the organ systems from our recommended text Principles of Anatomy and Physiology by G Tortora, Wiley & Sons Press (13th Ed or later). Please contact us by email at de@mum.edu if you have questions. Can I practice independently with this MS Degree? Successful graduates will be certified to practice Maharishi AyurVeda according to local laws. In the US there are 10 ‘Health Freedom States’ where one can practice independently: California, Idaho, New Mexico, Arizona, Nevada, Colorado, Minnesota, Oklahoma, Louisiana, and Rhode Island. In other states, if one is not a licensed health care provider, one would need to practice under the auspices of a licensed health care practitioner – physician, or chiropractor or naturopath, or other licensed practitioner, as part of a holistic health care team. In other countries one has to research the health care laws.